On the opposite end of California burrito in the "foods synonymous with San Diego" spectrum lie smoothies and açaí bowls. If the calorie-laden, fry-stuffed hand pillow is the fuel for super active surfers, a green smoothie or berry açaí bowl is the every(wo)man's energy meal. We'll eat it before hikes, runs, or before careening down the longest zipline in the country. We like ours without the sugar content of five Snickers bars, thanks. While most smoothie shops are nearly identical (quick: did we just pass a Jamba Juice or Planet Smoothie? 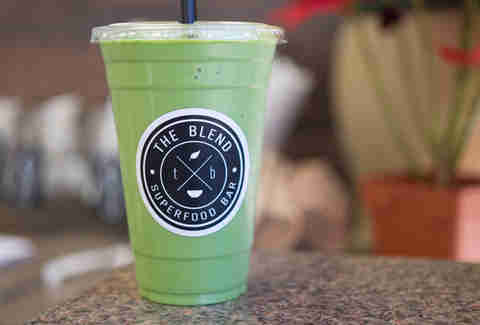 ), The Blend Superfood Bar is doing things a little differently. Located in the heart of Pacific Beach, a few blocks from the ocean, Corina Thompson and Hernan Lopez put together an easy-to-understand menu, the basis of its mission reading loud and clear through it: health food should actually be healthy. 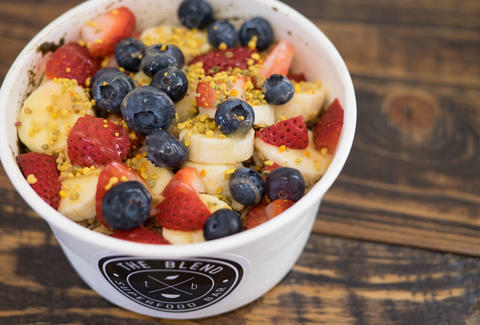 What stands out is The Blend’s açaí bowls. 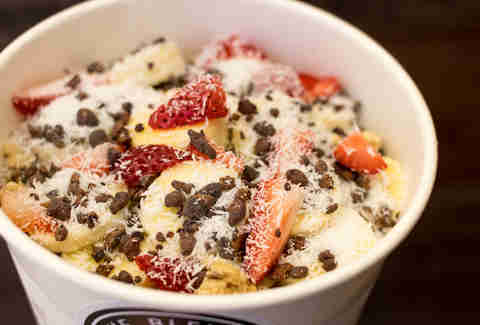 Instead of the same bowl you can get anywhere (açaí sorbet blended with apple juice or soy milk, topped with strawberries, banana, blueberries, and honey), it serves its creations with frozen açaí puree mixed with additions like fresh lemon and ginger juice, chocolate protein powder, mango, and even kale. On top, there's even more fruit (most of it sourced locally). The smoothies are just as devoted to eschewing the sugar content we've come to expect from big-name chains. There are 10 reasonably-priced core options -- the energy boost you’ll get is because they’re packed full of good stuff, not sorbet. So you can still congratulate yourself for downing about a cup’s worth of leafy greens without any of the unfortunate side effects (such as having to actually taste kale, for instance).